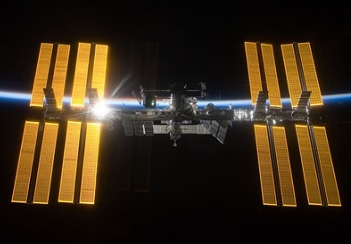 The International Space Station (ISS) has lost one of its eight power supply channels due to a suspected short in an external power generation component known as a Sequential Shunt Unit (SSU). However, the remaining seven power channels continue to provide adequate power for the station and no systems have yet been shut down, thus the situation is not considered critical. 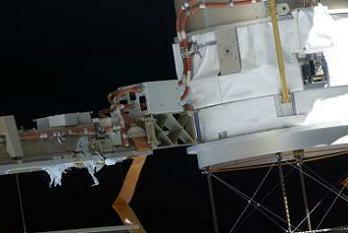 All ISS US segment electrical power is generated via the station’s eight Solar Array Wings (SAWs), with each one of the eight SAWs following the same power generation architecture. These eight separate power generation systems are each known as power channels. Each SAW generates power at between 150 and 170 Volts Direct Current (VDC). This large fluctuation in power is regulated to a stable 160 VDC, which is known as primary power, by a piece of hardware known as a Sequential Shunt Unit (SSU). From the SSU, the primary power is then sent to a corresponding Direct Current Switching Unit (DCSU), which essentially switches ISS power sources between the SAWs during orbital daytime, and the storage batteries during orbital night-time. For example, during times when the SAWs are in sunlight (i.e. generating power), the DCSUs send some power directly to one of four Main Bus Switching Unis (MBSUs), and some power to a corresponding Battery Charge/Discharge Unit (BCDU) which in turn charges the SAW batteries for use during periods of orbital darkness. During orbital darkness, when the SAWs are not generating power, the DCSUs send battery power directly to one of the four MBSUs. Each of the eight power channels follow this same architecture, with the channels denoted as 1A, 1B, 2A, 2B, 3A, 3B, 4A, and 4B. Thus, each piece of hardware described above (with the exception of the MBSUs), all of which are located outside the station, belongs to a separate power channel. 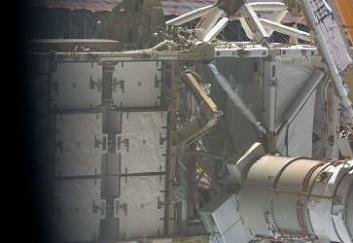 For instance, SAW-3A feeds SSU-3A, which in turn feeds DCSU-3A, etc. 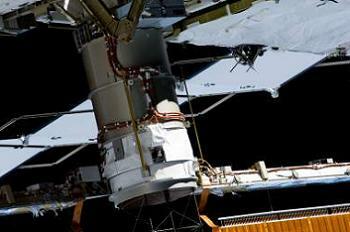 The four MBSUs on the ISS each receive power feeds from two DCSUs, and as such the four MBSUs between them distribute power from all eight power channels. From the MBSUs, the power is then sent onto DC to DC Conversion Units (DDCUs), which transform the 160 VDC primary power into 124 VDC secondary power, which is then distributed throughout the ISS for utilization by user loads. On Thursday 8th May, Remote Bus Isolator-1 (RBI-1), which is essentially a circuit breaker, inside Direct Current Switching Unit-3A (DCSU-3A) tripped open due to the occurrence of a negative current. 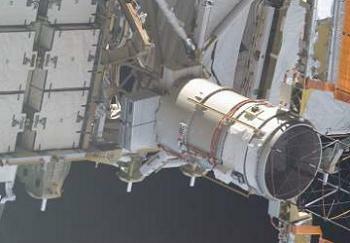 This caused DCSU-3A to conduct an automatic Power On Reset (POR), meaning it was no longer distributing power from the channel 3A SAWs or batteries to the rest of the ISS. This in turn meant that power channel 3A, which is located on the Starboard 4 (S4) Truss, was effectively shut down, taking with it 12.5 per cent of the station’s power capacity. Channel 3B was quickly tied with 3A, meaning 3B powers all of 3A’s loads, and thus no systems needed to be shut down. However, some equipment did still temporarily lose power, including the channel 3A Photo Voltaic Thermal Control System (PVTCS) cooling system, robotics systems, the Alpha Magnetic Spectrometer (AMS), and the newly-installed Optical PAyload for Lasercomm Science (OPALS). Current data indicates that SSU-3A is back online, however RBI-1 remains open, meaning DCSU-3A is still offline, meaning the entire 3A power channel is not currently supplying power to the ISS. According to exclusive L2 notes, at this time it is believed that the RBI-1 trip in DCSU-3A was caused by a short in Sequential Shunt Unit-3A (SSU-3A), which provides a steady supply of 160 VDC to DCSU-3A. This was indicated by the negative current in the RBI-1 trip, which points to the fault drawing current upstream of the DCSU. This event is believed to be a reoccurrence of an event which happened in September 2012, where RBI-1 in DCSU-3A tripped open due to an overcurrent. That event was later found to have been caused by a short in one of the 82 capacitors inside SSU-3A, which serve to smooth the 160 VDC output from the SSU. Since the short caused the capacitor to burn out, this effectively meant it was no longer connected, and thus it did not present a problem, with the remaining 81 capacitors being enough to adequately handle the SSU’s job. The issue was resolved by gradually restoring power to channel 3A while carefully monitoring telemetry, following which RBI-1 was re-closed, leading to the recovery of channel 3A. However, according to L2 notes, for the current RBI-1 trip there do appear to be some slight differences in the failure signatures compared to the previous occurrence, leading to some additional impacts to SSU-3A functionality. Namely, during this most recent trip, “the SSU-3A left sidewall temperature sensor instantaneously increased by 2.3 degrees centigrade and then decayed back to nominal”. Additionally, “SSU-3A shunt current delta between the two circuits is 12-14A. Nominally, the difference between the two shunt circuits should be minimal (~2A)”. However, at this time investigations into the issue are still ongoing, and no official causes have yet been confirmed. In terms of the impacts of the loss of channel 3A, there are no immediate concerns, since all of 3A’s loads are being powered by channel 3B, meaning no systems or payloads have needed to be shut down. However, some slight issues may be present for events such as the upcoming Soyuz 39S docking, during which the solar arrays need to be feathered and locked in order to protect them from thruster firings and loads imparted during docking. The feathering means that the arrays are not pointed directly at the Sun, meaning less power is available, which could be an issue with channel 3A down. Additionally, an upcoming high solar beta angle period could present problems. 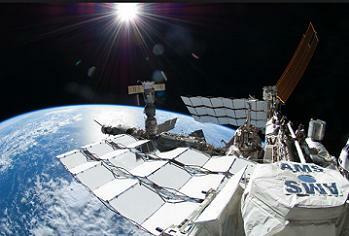 High solar beta periods are where the Sun effectively shines on the ISS side-on, which means only one set of solar arrays receive direct sunlight, while the remaining arrays are shadowed, leading to reduced power generation. On-board power management plans can be created to help alleviate these concerns however. While the previous DCSU-3A RBI-1 trip in September 2012 was successfully resolved via ground troubleshooting and commanding alone, analysis into alternative options for the current trip is still occurring. While no Removal & Replacement (R&R) Extra Vehicular Activity (EVA) has yet been discussed, it could be a possibility should all other recovery options fail. The failure of an SSU is not considered to be a Critical Contingency EVA (CCE) item, and thus enough time exists to carefully examine all options and formulate plans if needed. 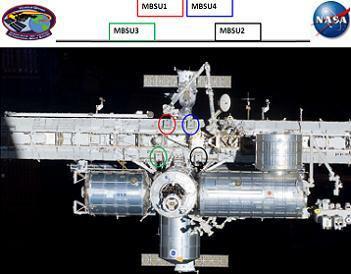 In the meantime, the ISS crew will be asked to take pictures of SSU-3A out of the ISS windows, in order to determine whether any Micro Meteoroid Orbital Debris (MMOD) strikes could be the cause of the suspected short. If an R&R EVA is required, it would be a fairly simple affair, since SSUs are rectangular box-like components located at the base of the Mast Canister Assembly (MCA) of their associated SAW (in this case SAW-3A on the S4 Truss). SSUs can be removed and installed via the driving of one bolt, with electrical connections being made via blind mate connectors underneath the SSU.